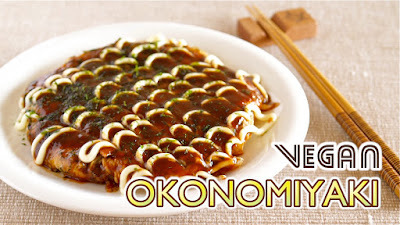 Tonpeiyaki is a quick style of Okonomiyaki (Japanese savory pancake), kind of Japanese pork piccata! Tonpeiyaki is a very popular Teppanyaki in Kansai area. You can also find this dish at Izakaya restaurants in Japan. You can add more ingredients to arrange this recipe but simple is delicious! 1. Cut pork into bite-size pieces. Cook in a frying pan, season with salt and pepper, then set aside. 2. In the same frying pan, pour in beaten eggs, when the eggs are half done, place the cabbage, cooked pork, green onions, and Tenkasu (tempura scraps if you have it makes the dish very tasty). Fold in half and cook thoroughly. 3. 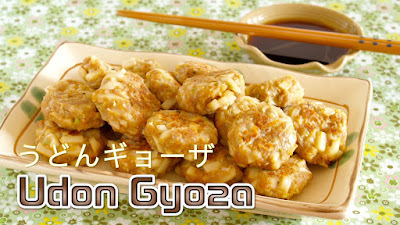 Cut into bite-size pieces, place them on a plate, top with Okonomiyaki sauce, mayonnaise, Katsuobushi, and Aonori to finish. This recipe is not specially made for Keto diet but it is a very common way of eating Natto in Japan 👍 Very high in protein, healthy, and delicious 😋 Perfect food to eat on a Ketogenic diet! Perfect dish to eat with rice, bread, or for snack. FYI: Natto is a traditional Japanese food made from fermented soybeans. People say it has strong smell and bitter taste, but give it a try! It tastes pretty good, super healthy and nutritious! It helps prevent clot formation and reduce blood pressure. It may benefit weight loss and offer protection against cancer. Better to love it 👍 Yes it is totally not a food to take it out with you. Something you want to enjoy at home! BTW, once there was Natto with no smell but I don't see it anymore. Maybe people thought they don't want to spend extra budget on it. 1. Mix eggs, milk, mayonnaise, and salt in a bowl. 2. Mix Natto, Natto sauce, Karashi (Japanese mustard if you like), and pizza cheese. 3. Heat olive oil in a frying pan, spread the egg mixture and make a round sheet of egg. Before the egg is fully cooked, place the Natto mixture in the middle. Fold into half, then shape it using the edge of the pan. Carefully flip it over onto a plate. 1. Mix the sauce. Cut Nori sheet into 8 strips. 2. Wash and clean the potatoes. With the skins, place it on a microwavable dish, cover with plastic wrap, then microwave at 600w for 5 minutes until you can insert a fork or a bamboo stick. Remove the skins then mash. 3. 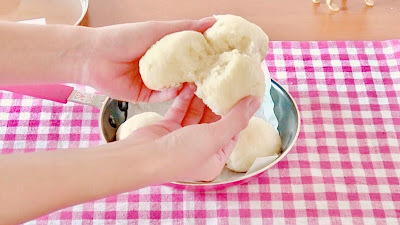 Add Katakuriko (potato starch) then knead by hand. 4. Divide it into 8, then roll into flat circles. If they crack, moist your hand with water then roll again. 5. Heat cooking oil (about 2 tbsp.) in a frying pan, cook both sides of potato Mochi until crisp golden brown. 6. Remove the excess oil with a paper towel. Stop the heat, then add the sauce and cook with the remaining heat until the sauce thickens. You can heat more if the sauce is still not thick. 7. Nicely coat the potato Mochi with sauce, then wrap in Nori. Yummy if you add some cheese in the center. Best eaten on the day you make but yes, you can keep in the fridge then microwave. You can also freeze them at step 3. Wrap individual potato Mochi in plastic wrap. When you eat, cook in the pan frozen. 3. Heat sesame oil in a frying pan. Place the chicken, cover and cook on medium low for 3 minutes. Flip them over then cover again and cook for 3 minutes. You can add some veggies if you like. Samurai War Helmet Harumaki is perfect for Boy's Day! May 5th is Children's Day, called "Kodomo no hi" in Japanese. It is also Boy's Day, called "Tango no Sekku" in Japanese. On this day, we display Samurai swords, armor, helmet, etc… along with two important symbols of the Day: carps (Koinobori) and irises (Shobu). Crunchy crust and moist cream cheese filling. yummy!!! Just make sure you pan fry it on a very low heat or it can burn easily. NOTE: Ingredients are listed in both American and metric measurements. However, please use a kitchen scale (metric measurements) to get a perfect result. Cream the butter in a bowl. Add sugar and mix until white and creamy. Add egg and mix well. Sift in flour then mix well with a spatula. When the crust starts to crumble, use your hands to mix together until formed. Press the crust evenly into the bottom and up the sides (about an inch high) of the frying pan. Lightly prick the bottom of the crust with a fork. Microwave the cream cheese at 500w for about 30 seconds until soft. Put in a bowl and mix until creamy. Add sugar, whipping cream, an egg, lemon juice, vanilla extract, and flour in order and mix well until smooth. Fill the cream cheese filling into the crust. Cover and cook on very low heat for about 30 minutes. The bottom of the crust burns easily, so you may want to place the pan on a wet towel to cool down the pan a little bit after every 10 minutes or so. 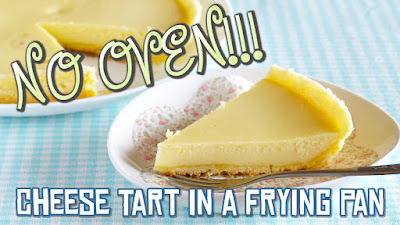 Cool completely and chill in the fridge before removing from the frying pan, or the crust can crumble. You can bake in the oven at 180C (350F) for 30~40 minutes. 1. Heat cooking oil on a pan. Add pork and season with salt and pepper. Then cook the meat until they start to change color. 2. Add cut vegetables until they are coated with oil. 3. Add Yakisoba noodles and some water to separate the noodles. 4. Season with Yakisoba sauce. 5. Serve on a dish, sprinkle with Aonori, and garnish with Beni Shoga. Udon gyoza is a local home-cooked dish from Takatsuki, Osaka. Instead of using Gyoza wrappers, you just mix in chopped Udon noodles. Very easy and filling, perfect for everyday meal, as well as for Bento lunch box!!! 1. Chop udon noodles into little pieces. 2. Put the chopped Udon, ground pork, and A in a bowl, then mix well by hand (hand is better but using a spoon is okay) until all ingredients are combined and smooth. 3. Heat cooking oil in a frying pan. Form the mixture into bite-sized round patties and place them on the frying pan. Cover and cook on low for 5 minutes. Flip them over then cover again and cook on low for 3 minutes. 4. Serve with a mixture of soy sauce, a little vinegar, and a drop or two of la-yu if preferred. 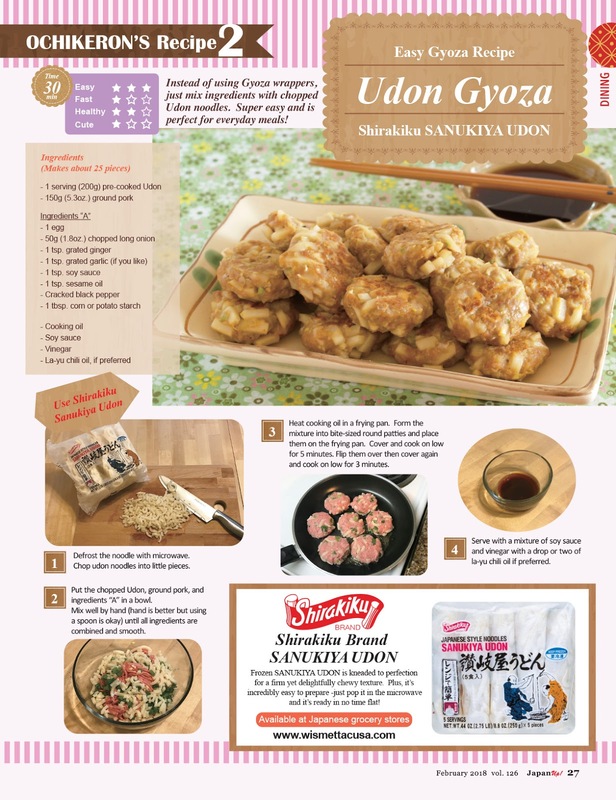 You can marinate Udon Gyoza in the sauce to put in Bento lunch box. Don't worry if you don't have a steamer. You can make Shumai in a frying pan! 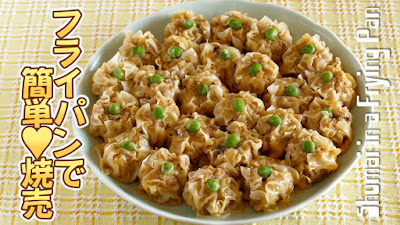 Shumai or Siu Mai is a dim sum favorite, with an easy pork/shrimp filling. Canned ingredients (scallops and crab meat) give nice flavor. You can eat them without soy sauce dipping ;) Perfect for parties and Bento lunch box!!! 1. Put the ingredients for the filling in a bowl and mix well by hand (hand is better but using a spoon is okay) until all ingredients are combined and smooth. 3. Heat cooking oil in a frying pan. Place the Shumai and cook on high heat until the bottoms become a bit brown. Add 100ml water, when it becomes to a boil, cover, and steam on med-low heat for 10 min until cooked. Uncover and cook until the water is gone. Serve with a mixture of soy sauce and a little yellow mustard if preferred. Serve the omelette as soon as possible or it will shrink after a few seconds. 1. In a bowl, place an egg and a pinch of salt. Mix with an electric mixer for 5 minutes until white and fluffy. 2. Heat butter in a frying pan, pour in the batter, cook on medium for a minute, then cover and cook on low for about a minute. 3. 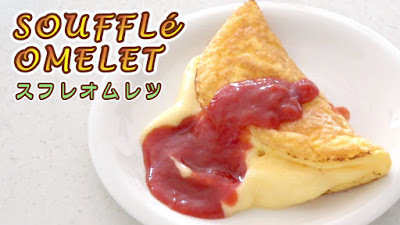 Fold the omelette in half, serve on a plate, then pour some tomato sauce over it. Nanbanzuke is a Japanese home-cooked meal with deep fried meat or fish, marinated in sweet and spicy vinegar sauce. You can substitute it with other fish or chicken, too! 1. Thinly slice onion and color peppers. Boil for just under a minute to remove the bad smell and bitter taste. Then drain well in a colander. 2. Slice the horse mackerel fillets diagonally into pieces. Dust both sides with salt and flour. Heat sesame oil in a frying pan. Cook both side until crisp, golden and cooked through. Transfer to a flat dish. 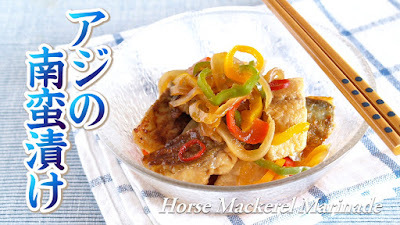 *You can of course deep fry the horse mackerel. 3. Thinly slice dried red chili pepper. Mix the marinade and the dried red chili pepper. Then add the vegetables and toss. Pour it over the horse mackerel and marinade for over 10 minutes, then serve. After 10 minutes, fish meat is very soft. After a day, the flavor soaks well and the fish meat becomes firm (condensed). Both are delicious! You can keep it in the fridge for 2-3 days. 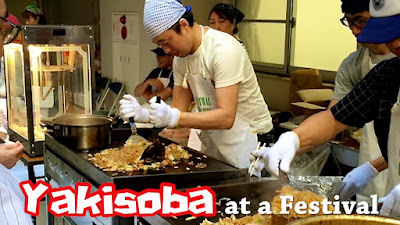 Okonomiyaki is a Japanese savory pancake. Of course perfect idea for those who are on diet!!! 1. Grate Yamato yam in a bowl and mix Kombu Dashi powder. 2. Add shredded cabbage, chopped green onions, and Beni Shoga, then mix well until cabbage gets wilted. 3. Heat cooking oil in a frying pan. Spread the batter in a circular shape, cover, and cook on low for about 5 minutes. Then flip it over, cover, and cook the other side for 5 minutes until golden brown. 4. Serve on a plate, and sprinkle with toppings. You can also use Nagaimo (Chinese yam) or regular potato. However, they may be bit soggy that you may want to add 1 or 2 tbsp. of gluten free flour. 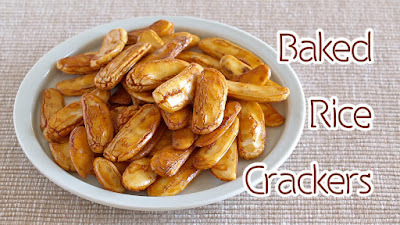 Easy and crunchy rice crackers using an oven! Round Mochi will look like Kaki no tane (famous rice crackers look like persimmon seeds). I used the leftover Issho Mochi from my daughter's 1st birthday. Issho Mochi is a Japanese traditional ceremony, having an year-old-baby carry 4lb (1.8kg) rice cake on the back in hope that the child will have enough food to live on. 1. Thinly slice Mochi. Leave to dry for 2~3 days. 2. Preheat the oven to 356F (180C). 3. Line parchment paper on a baking sheet, place Mochi, then bake in the oven at 356F (180C) for 15 minutes. 4. Mix soy sauce and sugar in a bowl. Coat Mochi with the sauce, then drain well. 5. Again place Mochi on the parchment paper. Bake in the oven at 302F (150C) for 3~4 minutes. *Soy sauce can burn easily, so please watch out. 6. Leave to cool completely until the sauce dries out. Putting silica gel (desiccant) packet together inside an air-tight container would help to keep the rice crackers crisp over a week or more!